Would Snoke and/or Yoda get nerfed? Would FFG do anything about the decks that allowed players to draw their entire deck Round 1? What, if anything, would be done to help players combat the Fat Vehicle/Armored Reinforcements (AR) decks popping up which allowed vehicles with mods to reset and roll in multiple times in a round and do a tremendous amount of damage? As the last European National events and the first Regionals and GQs took place, players were still waiting for answers to their questions. But, one character team rose to the top of the meta as a way to deal with questions 2 and 3 – eThrawn/eSnoke. Variants of eThrawn/eSnoke were prominent at every major event during the first few weeks of the Across the Galaxy meta. YOUR Destiny discussed different variants of the deck in their French Nationals article which can be found in the link below. eThrawn/eSnoke was certainly around during the Way of the Force meta. One podcaster said he thought it was the best deck then even though it was not dominating the meta. What changed, as we all know, was the introduction of cards like Vader’s Fist and TIE Fighters in Across the Galaxy. Vader’s Fist is debatably the best card in the entire game. TIE Fighter swarms can certainly do their fair share of damage and, as long as you have enough resources, you can tutor and play more of them once you play one. eThrawn/eSnoke could resource ramp as well as, if not better than, any other deck that the game has ever seen. It was common for players to easily play a first round Vader’s Fist or multiple TIE fighters round 1 and set up a board state that was almost impossible for an opponent to combat while still being in a position to mitigate dice. eThrawn/eSnoke decks had the ability to simultaneously deal with decks that could draw their entire deck in a single round and also eliminate critical components of fat vehicle reset decks thanks to Thrawn’s ability and, in some variants, the use of Grand Moff. Those aspects pushed eThrawn/eSnoke to the top and it dominated in a manner not seen since the ePoe/eMaz and FN-2199 days early in the game’s history. Just how dominant was eThrawn/eSnoke? At the time of the writing of this article (Jan. 15, 2019), I Rebel has results posted from 35 regionals that have taken place thus far during the 2018-19 Regional Season, including 11 from before the rules update, and they paint a pretty dominating picture. While many regionals had Top 8 cuts, some only cut to a Top 4 due to attendance and results were reported based on the top cuts. In order to use data from all the Regionals and keep things “equal”, this article will only focus on decks that finished in the Top 4 at Regionals. Consider these somewhat amazing numbers from the 11 Regionals which took place BEFORE the rules update and new Holocron tournament documents were finally released and look at eThrawn/eSnoke vs. the Field. 72.7% (8 out of 11) of the Regionals were won by eThrawn/eSnoke decks. 63.6% (14 out of 22) of the Regional Finalist decks were eThrawn/eSnoke decks. 47.7% (21 out of 44) of the Top 4 decks at Regionals were eThrawn/eSnoke decks. No other character team won more than 1 Regional. Only 1 other character team appeared in multiple regional finals (eSnoke/Mother/Ciena made 2 finals). No other character team had more than 2 Top 4 appearances. eThrawn/eSnoke won 8 times more than any other character team, appeared in finals 7 times more than any other team, and appeared in the Top 4 over 10 times more than any other team. By pretty much any standard, eThrawn/eSnoke dominated the field. Many people wondered if eThrawn/eSnoke was performing so well because it was that strong or if it was just because it was being played by a large number of people in the field. Two pieces of data seems to indicate it was most likely the former. At one major event it was reported that out of 59 players only 11 played Thrawn/Snoke (18.7%), but 7 of the top 8 (87.5%) were eThrawn/eSnoke decks! Similar results were posted from some other tournaments where all character teams were reported for the event. And, as one looks at the percentages of eThrawn/eSnoke decks that made Top 4 vs. Finals vs. Winners at Regionals, eThrawn/eSnoke’s numbers just kept going up. Pre-rules update, a little less than 50% of the decks (still a sizeable percentage) making the top 4 were eThrawn/eSnoke decks, but they won nearly 75% of the Regionals. Admittedly, the sample size is small but these pieces of data seem to support the belief that eThrawn/eSnoke decks was really just that strong. When the rules update finally was released in December, FFG did address all the questions posted earlier. Snoke received a point increase from 11/13 to 12/14, but Yoda somewhat surprisingly wasn’t touched. Errata was issued to cards that impacted the “draw your whole deck” decks and Fat Vehicle reset decks. The meta was bound to be shaken up even though eThrawn/eSnoke players could still play the deck by using the Bitter Rivalry plot. The question was – how would things play out? Darth Vader – A Terror on the Meta? Many people expected to see a rise in eVader3/X decks in the meta after the rules update. Different character partners and variations have been explored, but the power of Vader combined with access to strong yellow cards has resulted in Greedo becoming Vader’s #1 sidekick. eVader3/Greedo decks are everywhere, but are they as dominant as eThrawn/eSnoke pre-rules update? It’s interesting to see how the data compares. 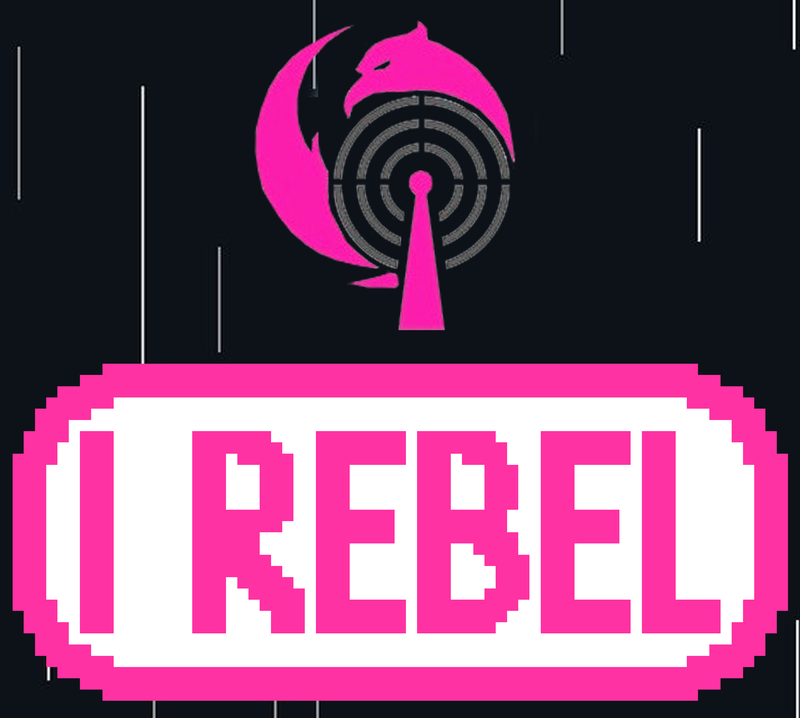 Thanks to I Rebel’s work in compiling results from Regionals we can do that. The chart below compares eThrawn/eSnoke results pre-rules update vs. eVader3/Greedo results post-rules update. Much like the eThrawn/eSnoke data, as one looks at the percentages of eVader3/Greedo decks that made Top 4 vs. Finals vs. Winners at Regionals, we see that eVader3/Greedo numbers just kept going up. Post-rules update, a little less than 30% of the decks which have made the top 4 were eVader3/Greedo decks, but they have won nearly 50% of the Regionals. However, eThrawn/eSnoke’s percentages were considerably higher in every category. It appears that while eVader3/Greedo is dominating the current meta post-rules update, its not quite as dominating as eThrawn/eSnoke was. From talking with people, eVader3/Greedo also seems to create less “feel bad” moments when losing to it as opposed to how people seem to feel losing to decks like eThrawn/eSnoke or mill . After all, Vader is the big bad. He’s the main villain and focus of the Star Wars Saga. It’s almost as though he’s supposed to win and if he just beats you down with a bunch of melee damage in one roll, you can live with that because, well, he’s Darth freaking Vader and he should be powerful in this game! While I play Destiny as a hobby, by day I am college math professor. For those interested in data and numbers, like myself, there can never be too much data to explore. Here are three charts which list all the decks that have won, made the finals, and made the top 4 at Regionals since the rules update. Each chart is preceded by a quick summary. While more advanced statistical analysis could be done on the data, because of the small sample sizes, it’s probably better to keep things simple and just report raw numbers and observations at this point in time. 12/25 regionals (48%) were won by eVader3/Greedo decks. Two other teams won multiple regionals. 12 different teams total won at least 1 regional. 17/50 regional finalists (34%) were eVader3/Greedo decks. 11 other teams were multiple time finalists. 21 different teams total made at least 1 final. 29/100 regional Top 4 decks (29.17%) were eVader3/Greedo decks. 8 other teams had at least 3 top 4 appearances. 37 different teams total made at least 1 Top 4 appearance. Post-rules update, eVader3/Greedo has won 6 times more than any other character team, appeared in finals nearly 6 times more than any other team, and appeared in the Top 4 nearly 5 times more than any other team. eThrawn/eSnoke with Bitter Rivalry has only had 2 Top 4 appearances in Regionals since the update and has failed to advance to a finals. If FFG’s goal was to remove that character team from the meta, they certainly succeeded. By pretty much any standard, eVader3/Greedo has dominated the field recently and replaced eThrawn/eSnoke as the “gatekeeper” deck. However, as was shown with previous data, when compared to eThrawn/eSnoke pre-rules update, eVader3/Greedo has not been quite as dominant. And finally, here are two more charts which try to tie some things together. Both compare the pre-rules update meta and post-rules update meta. While eVader3/Greedo decks are certainly doing well at the Regionals, there has been a bit more diversity with more decks winning, making the finals and making the Top 4 than during the eThrawn/eSnoke meta. So where does this leave us? Top players are always looking for an edge and I suspect some of them will find ways to counter eVader3/Greedo and we’ll see other decks rise to the top more regularly in the near future. If not, rotation is just around the corner and that will see a big shift in the meta as many staple cards will rotate out. There might even be ways to combat the power of Vader in the upcoming Convergence block that has yet to be revealed. After all, as Yoda says, always in motion is the future. I want to thank I Rebel for giving me the opportunity to share these thoughts and data. Also, thanks to everyone who took the time to read this article. May the Force (and dice rolls) be with you!